Smartphones and mobile devices have revolutionised the way we go about living our everyday lives. It all started in 1996 when Motorola came up with the first cell-phone. Since then, Wikipedia says, more than 17 Billion mobile phones have been produced! “Is there an app for this? Can I get this done using my phone?“, that is the first question all of us ask before doing any transaction today, whether it is banking or shopping. And we are just getting started, according to recent statistics, the number of mobile phone users in the world is expected to pass the 5 billion mark by 2019. That is more than 70% of the world population. 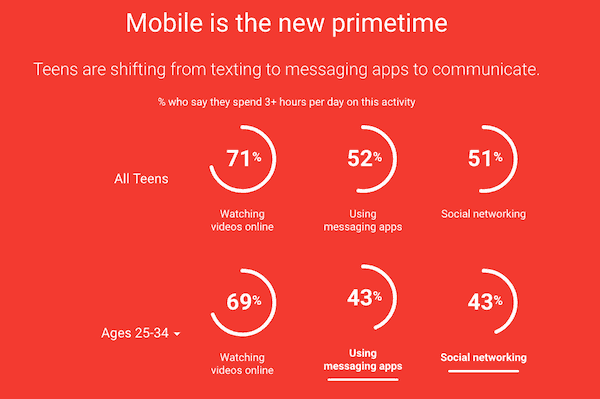 According to an interactive report by Google, messaging apps are becoming the primary and preferred means of communication by the younger generation. 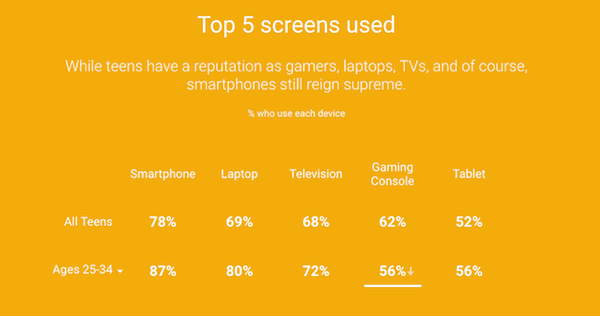 And among the top 5 screens preferred by the younger generation, smartphone is the leader with more than 75% usage. So, there is no doubt that we are in the middle of a mobile revolution and we are entering a new era dominated by smartphones. The big question is: Is your ministry ready to serve this smartphone generation? Are you ready for this mobile era? 1. In a mobile-first world, how will you run your online ministry operations? As a church, your need to have a mobile-first mindset. And it needs to start with your operations. Not only your audience, but your staff and your volunteers are also mobile-users and wouldn’t they very much prefer working in a mobile-friendly environment with tools and apps that work well on mobile? Taking the mobile-first approach to your operations will also help you as a leader to better manage your ministry. Mobile-friendly apps and tools: Start using mobile friendly applications for operational requirement like CRM, Accounting Tools, Task Management, Document Sharing, Billing Solutions, Storage Solutions, etc. You can even track, measure and review your ministry operations on a daily basis using mobile-friendly tools like chat apps (Zoom, WhatsApp or Skype), collaboration apps (Google Docs, Dropbox Paper) and productivity apps (Trello or Asana). This will not only help your staff and volunteer team be more productive and efficient, but also give your ministry team for a mobile-based mindset. 2. In a mobile-first world, how will you present your ministry information and your message to your audience? Once you set up your operations, think of your message or your services to your audience. How are you going to present your message to the mobile-first generation? Start by checking if your website is mobile-responsive and if the user-experience on your website is mobile-friendly. Test the experience by taking actions (eg: donating) that you expect your audience to take, using your personal mobile phone. See if it is easy. If not, call your tech team and get them to work on it. Develop mobile apps for your ministry, if you think that is something that would add extra value to your audience. Note: Please do not develop an app just because another ministry has it. Do it only if there is a specific ministry goal that an app can help you accomplish. I see many ministries who have developed expensive apps that are just nice-to-have with no unique functionality. Conduct usability tests and surveys with your congregation or members and get feedback on their mobile-user experience on your website, social media and other online assets. 3. In a mobile-first world, how will you expand your ministry and find new audience? After taking care of your operations and your existing audience, think about the future and the new audience who you would like to minister to. How can you reach them with a mobile-first strategy? Create value-adding content: The best way to find new audience online is to let them find you! This is called ‘Inbound Content Marketing’. As a consultant, I have been implementing this strategy for many ministries with encouraging results. The logic is simple – in a ‘mobile only’ world, people spend a lot of time on their mobile devices searching for information. If you as a ministry continue to create content then the relevant audience will find your content, consume it (watch, listen or read) on your website, blog and social media. Once they consume your content and find value in it, they will want to stay connected with you to get similar content. So they will become your followers online. Ensure mobile-friendly ‘follow’ options: When the audience are ready to follow you, you need to make sure they are able to do it using their mobile-phones with ease. This is where our earlier discussion about creating a mobile-friendly website, apps and social media presence comes to play. Make it easier for the mobile generation to stay connected to you. Finally, a note on the opportunity available to churches and ministers today. We are living in an age where smartphones have opened up an unprecedented opportunity to influence the next generation. A mobile-phone is a personal device. When someone is looking at their phone – watching your videos, listening to your podcasts or reading your blog, you have their undivided personal attention. There has never been a time in history when the church had the undivided personal attention of millions of people from around the world. 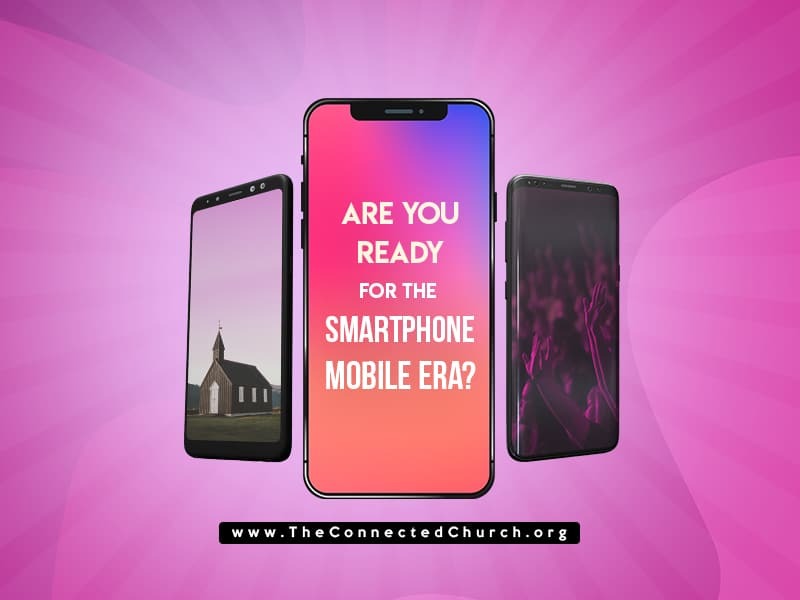 So, if you prepare your ministry for this mobile era and produce value-adding content that appeals to the mobile-first audience, you can accomplish great things for God’s kingdom. If you have any questions or thoughts or need help on this topic, let me know using the comments section.